At the annual banquet of the New York Latter-day Saint Professional Association on Nov. 9, defending religious freedom proved to be the overlying message. Elder D. Todd Christofferson of the Quorum of the Twelve Apostles urged professionals attending the meeting to work to protect religious freedom by becoming educated on the topic, speaking up and getting involved in the community, LDS.org reports. Eric Schneiderman, New York Attorney General and devote follower of Judaism, was in attendance as well, Mormon Newsroom reports. Schneiderman has a history of working to preserve religious freedom along with creating ties with the LDS population in New York. Elder Christofferson praised Schneiderman’s defense of religious freedom in New York. Elder Christofferson said Schneiderman’s commitment to freedom of religion is an “example of positive leadership that we hope all elected officials will follow,” Mormon Newsroom reports. 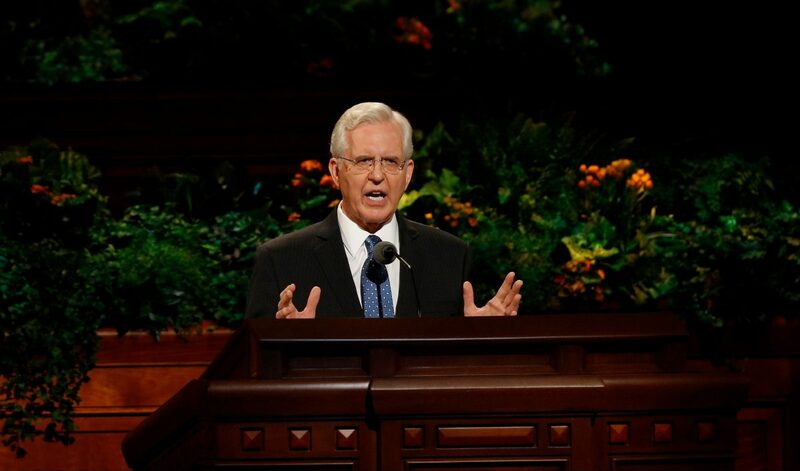 In Elder Christofferson’s speech, he stated that fostering a culture that appreciates the right to practice religion is essential to appreciating the liberties of this land. According to LDS.org, the right to religious freedom allows all to not only believe what they wish to believe, but to also freely live how each individual wants to live. Every person has a role to play in defending this right.